The m3health Program is a guided process that maximises your own body’s healing mechanisms. It is a journey of discovery. We call it an inquiry because it provides material you respond to, and then uses those responses to maximise your own healing. The three major responses the Program draws upon are your thoughts, feelings and actions. In this sense it’s your own life which is healing you. Our thoughts, feelings and actions have a profound effect upon two of the body’s major healing systems, the immune system and the endocrine system. Health comes when our healing mechanisms are free to respond to current circumstances without the burdens of the past. Old thoughts and feelings left over from previous circumstances which are not applicable to our current situation accumulate within the mind and weigh down our immune and endocrine systems, restricting their capacity to protect us and to heal us. The m3health Program helps clear these old blockages, freeing the body physiology to fulfil its role of healing us, a role for which 15 million years of evolution has equipped it. Many treatments are ineffective because our own body physiology is sabotaging them. Removing blockages to your own natural healing helps any other therapy or medication work more effectively. It means that you and your doctor are now combining to give you the best chance of recovery and long term health. The Program poses simple questions to uncover what you think and feel about your problem. There are no “right” answers to these questions. You may like to record your responses. You can choose to keep your responses completely private or discuss them with someone else. 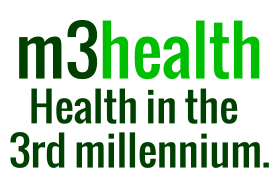 The only access that m3health has to your responses is if you subscribe to an m3health Personal Report . As you move through the program an extensive range of different topics and issues are explored. The complexity of the Program builds and the questions direct you into areas with which you may be unfamiliar but which are impacting your current problem and wellbeing. At this point many people are surprised at how much they’re discovering about the origins and the nature of their problems. You will become more capable of recognising your thoughts and feelings, interpreting your responses and developing actions to reduce the load on your endocrine and immune systems. Eventually, you observe your own responses to daily situations in real time without reference to the program. The capacity to respond freely to ordinary circumstances is the beginning of healing. It may take you a few months to work your way through the Program. Some may already understand the fundamentals and have a more rapid re-awakening. Each person is different and there is no preferred way of proceeding. Some people find no need to complete the entire program, but take what they need from the first few sessions. The program is exciting and fun to undertake.